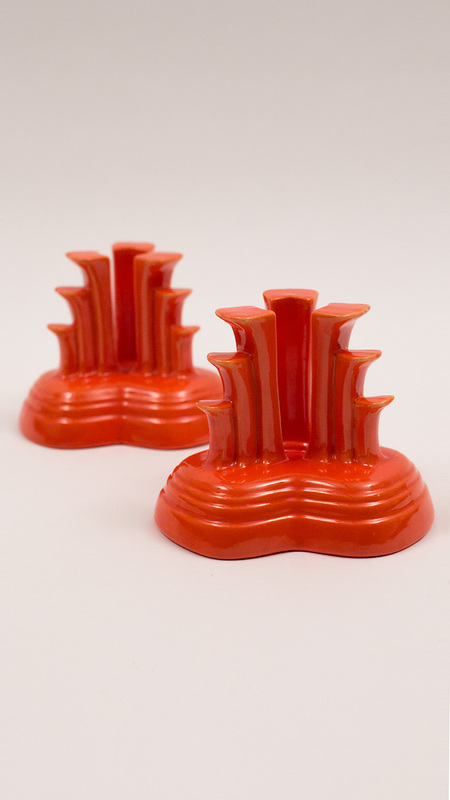 Circa 1936-1942: A bold and extremely art-deco design make up the vintage Fiesta tripod candle holders design. 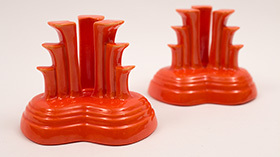 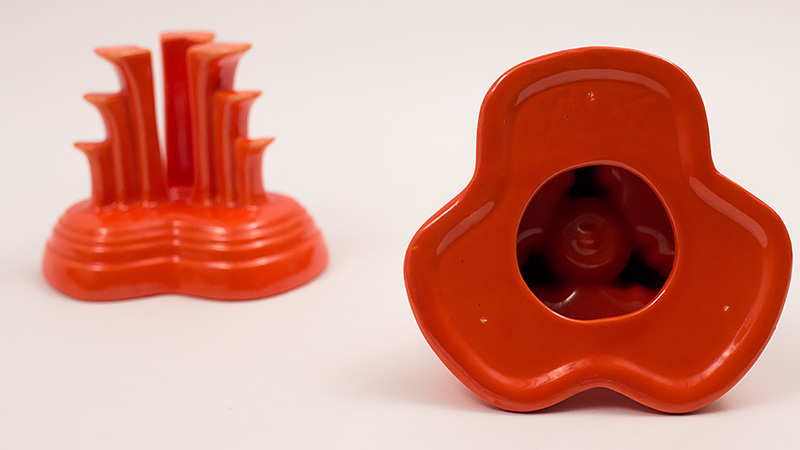 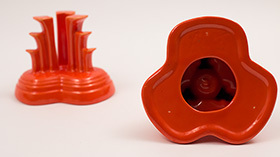 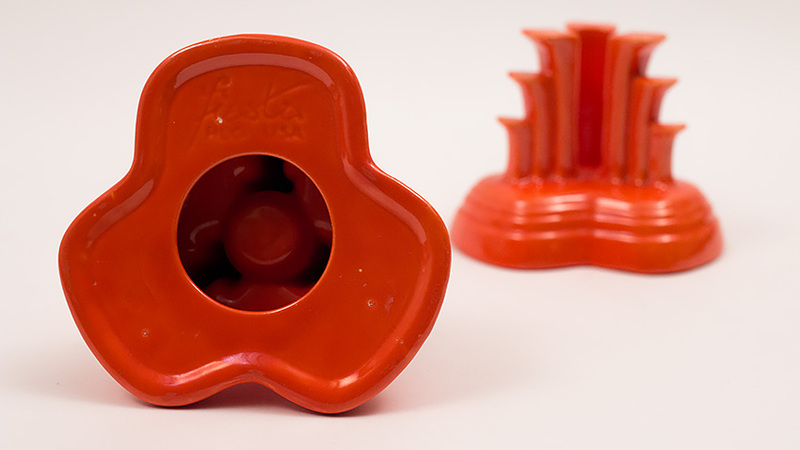 Perhaps the most extremely complicated piece of the entire vintage fiesta pottery line, the tripods make more reference to the galant skyscrapers of the time than to mere tableware. 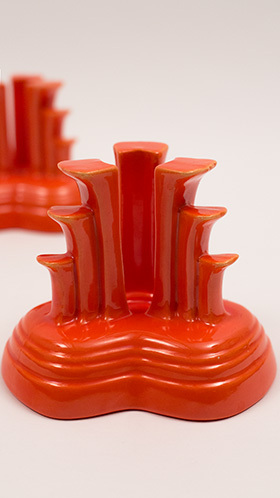 Produced for seven years and not big sellers at the time, makes the demand for the tripod candle holders high. 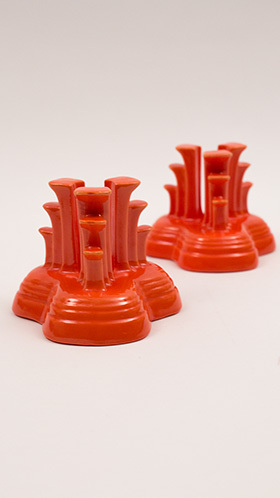 Slip cast from a highly detailed four part mold and formed from liquid clay, the survival rate of this delicate piece is slim. To find a pair in excellent, undamaged condition is a collectors greatest delight. 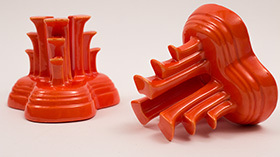 With twenty seven edges on the tripod columns themselves, damage is all to common. This pair boasts very nice condition. Marked in the mold on the bottom "fiesta HLCo USA" and fully glazed. 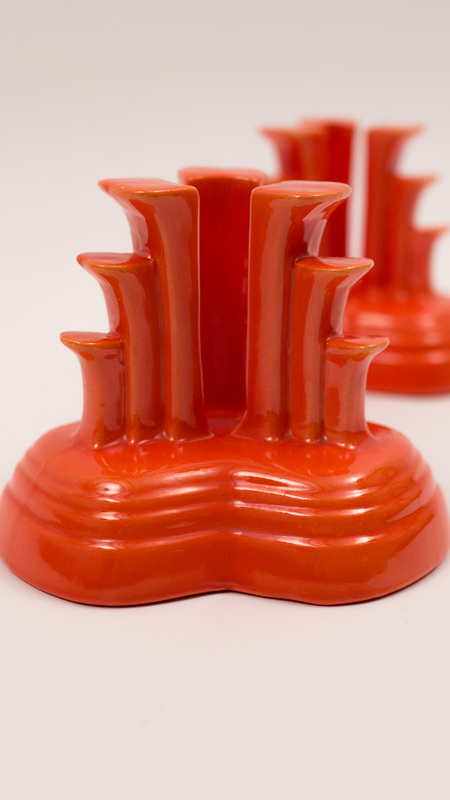 If you've been waiting for a pair of great candlesticks or have a special gift to give, this pair will delight.